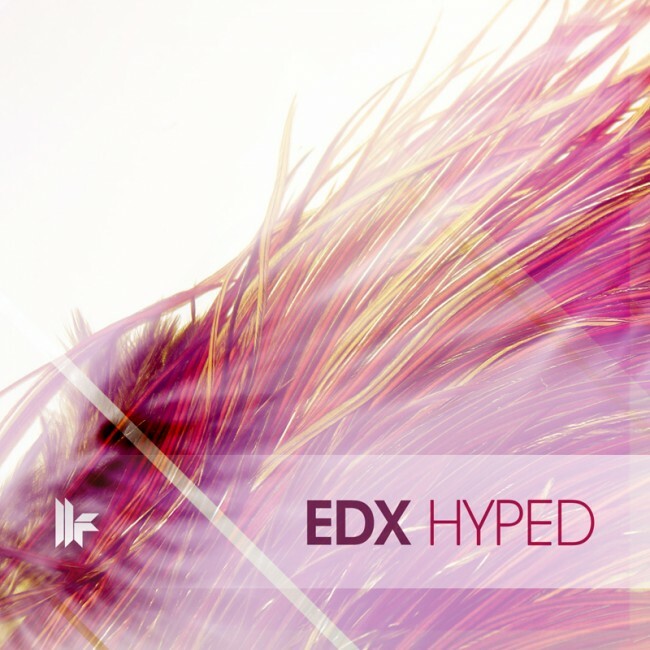 Barely two weeks ago, Swiss (Italian native) producer/DJ EDX released his latest track “Hyped” on Toolroom Records. EDX is one of the producers out there who I have admired for his ability to write true progressive originals and remixes. While some of his tunes tend to give off a mainstream vibe, it’s gems like “Hyped” that make me take a step back and say, oh yeah – that’s why I follow him. Many people may not realize this but EDX has been in the dance music game for close to two decades and first hit people’s radars in 1994 with various mix tapes that within weeks had circulated around the globe. Official remixes by EDX have come for Deadmau5, Mary J Blige, Bob Sinclar, Axwell, Armand van Helden, Steve Angello, Roger Sanchez, Laidback Luke, Armin van Buuren, Kool & The Gang, Kaskade, Funkagenda, Lauryn Hill, and many more. EDX manages to make your head nod but also incorporates melodies and chord progressions in a way that seems to have dropped off a bit in the dance music world. “Hyped” is a true Progressive House gem because it takes almost four minutes to build up into what I consider to be a riveting drop (around 4:10), before going back into the melodies that got us there in the first place. Road tested across EDX’s Summer tours, this must-have track has already been proven all over the world and it will continue to be played out by many. Back with yet another release also on October 21st was one of my favorite DJ/producers of the moment: Fehrplay. Continuing to evolve and fine-tune his sound, Fehrplay’s productions are nothing short of pieces of art. Fehrplay thrives in the realm of Progressive House, with a unique sound that only few can touch, and that’s evident by his presence on Eric Prydz’s Pryda Friends label. Fehrplay’s tracks continue to be bombs that clearly incorporate painstaking detail yet have the ability to destroy dance floors. “Indigo” is a bit more aggressive than its Progressive House cousin “Hyped”, above, but that’s not something I’m complaining about. Beatport writes “While fans were undoubtedly wowed by Monte and Talk to Me, Fehrplay’s new track Indigo keeps his momentum going and provides perpetual excitement. This hot slice keys in on Fehr’s iconic piano anthem sound and thick bass-lines, while divulging into a provocative breakdown accompanied with a cinematic synth melody. ” Having seen the Norweigian artist on several occassions this year, I can say with complete confidence he’s someone you need to keep your eyes and ears on!